I posted the Gabicci video back in July, here’s a second bite of the cherry, featuring images from the brochure. 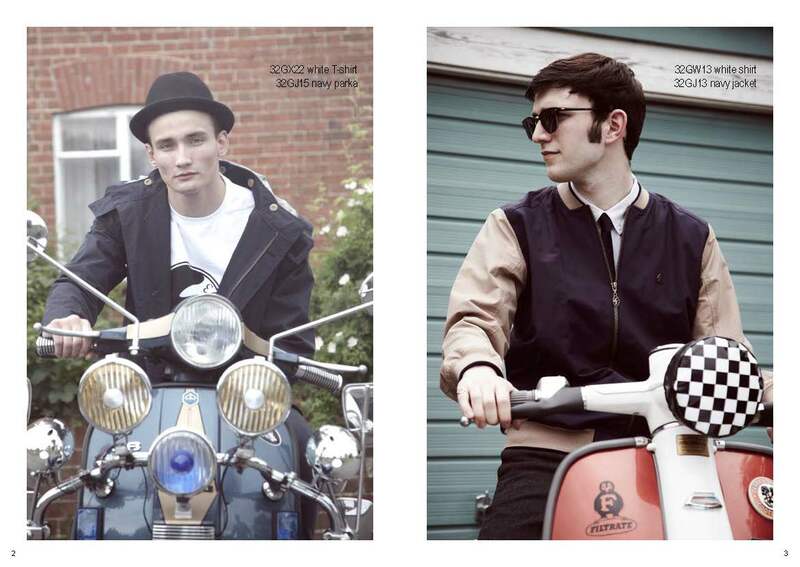 I’ve stripped out the pictures of the cool, skinny model dudes in mod influenced gear, and focused on the scooters. 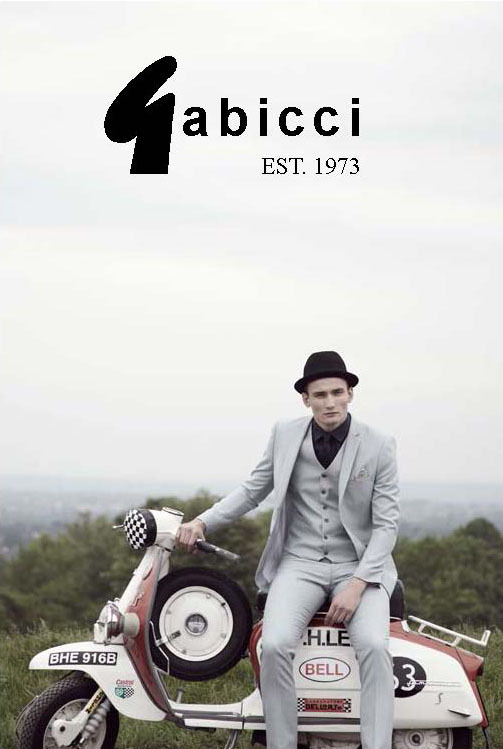 Personally, my memories of Gabicci are not as a mod brand, back in the day, but as a premier “Casual” (with a capital C) knitwear brand, worn alongside Lyle&Scot, Fila, Ellese, Farah and Lacoste. 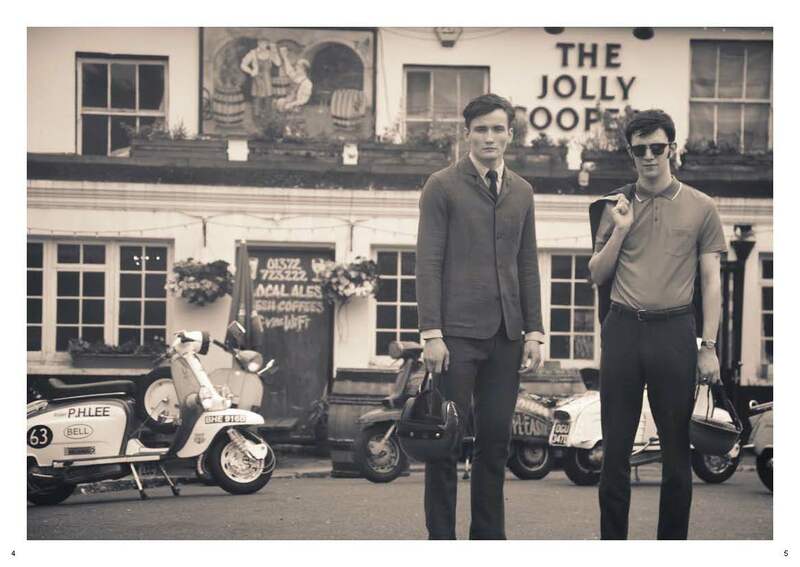 But then again, Casuals were basically that generations incarnation of Mods. (Discuss… can of worms opened!). Anyway, it’s one of those labels I would have avoided just on ideological grounds. But they’ve got some pretty decent looking clobber there, so if I was a few years younger, and a few stone lighter I’d give them a whirl. Probably. 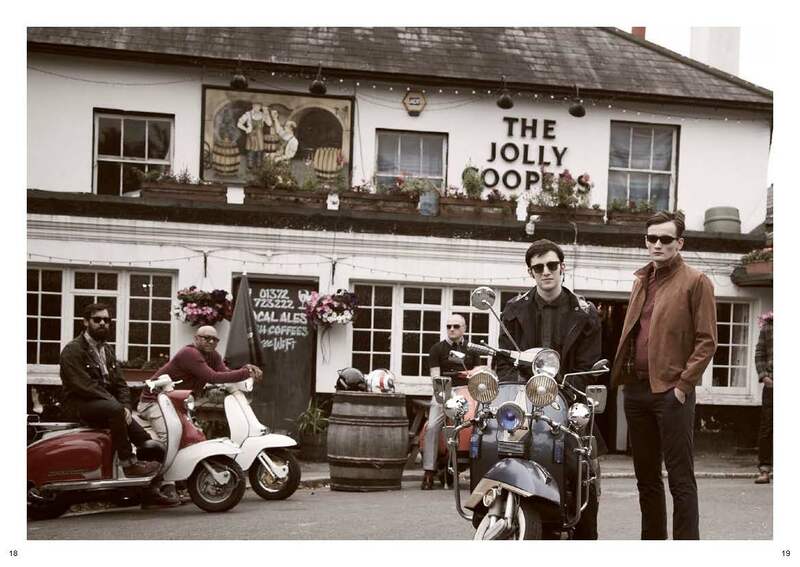 Anyway, the scooters are courtesy of the New Originals scooter club, and they look bloody brilliant. If it’s your cup of bovril, check out the Gabicci website here. 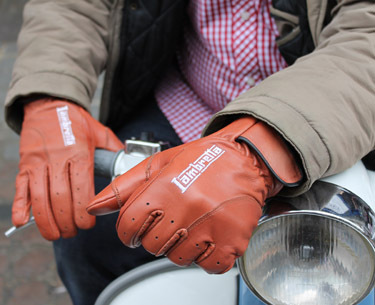 While researching (I use the term loosely) my helmets post, I came across these rather nice tan gloves on the Heritage Helmets site. 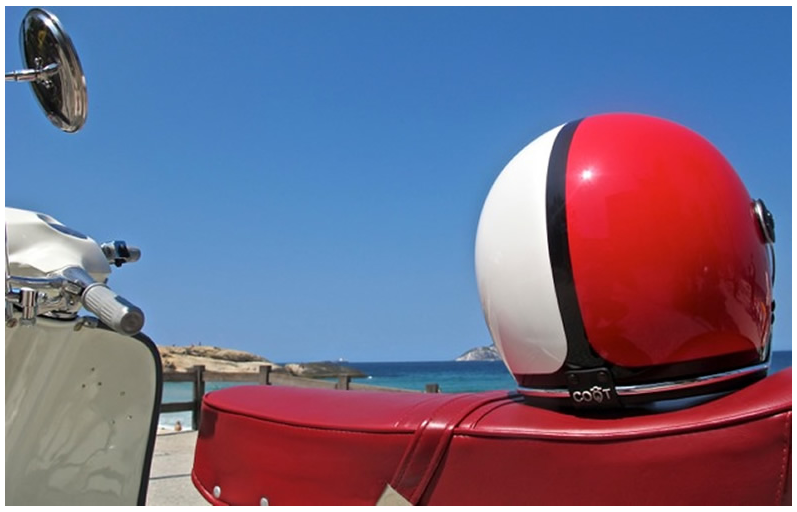 Now, I don’t always agree with slapping a Lambretta logo on stuff, but I think these look pretty good, perfect for Summer riding. If we ever get a Summer that is. They’re £34.99 inc. Free UK P&P, and also available in black. 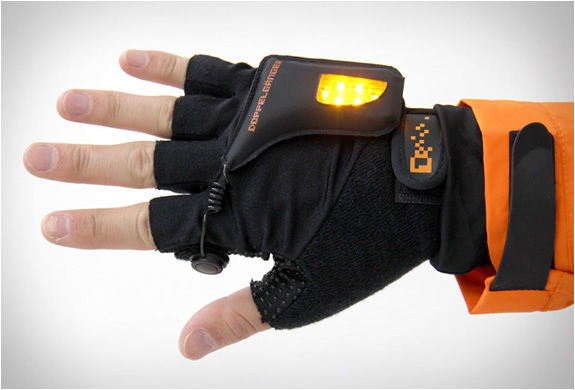 EDIT: I was given a pair of these gloves for my birthday yesterday, and my first impressions are really good. Stay tuned and I’ll write a full review after I’ve worn them for a wee while! 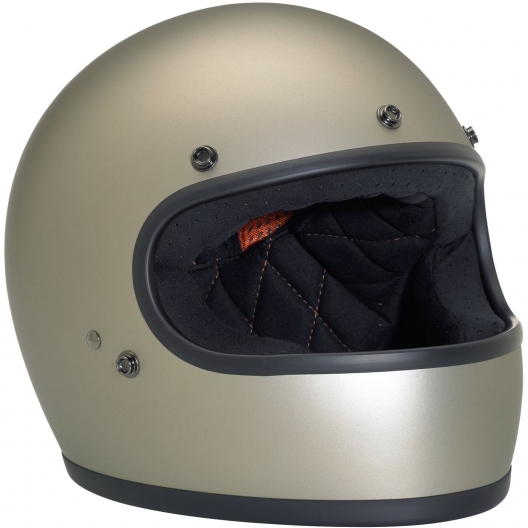 UPDATE: I felt this post was a little short on full face helmets… and the one type I did post was $900. 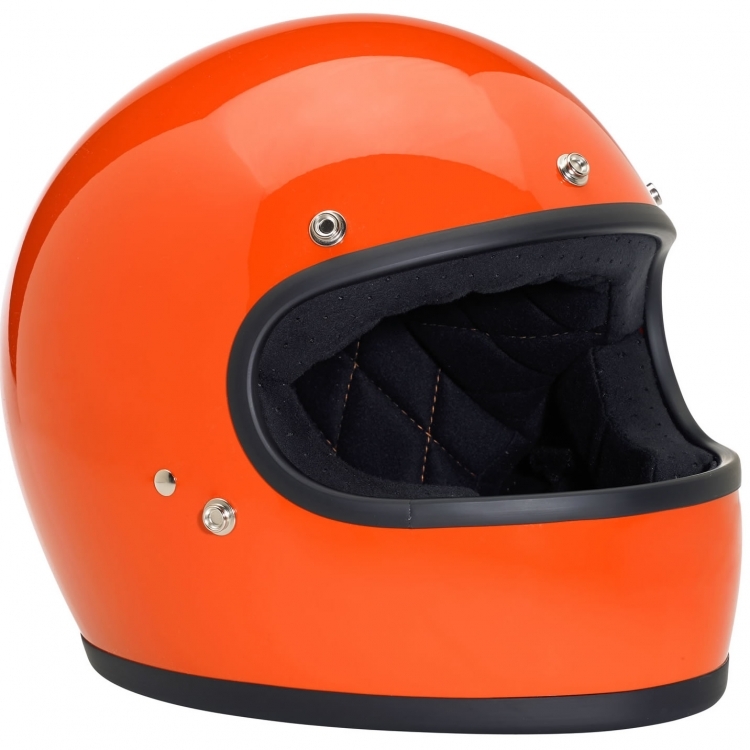 So I put a shout out on the LCGB Forum for recommendations of classic looking, full face helmets. 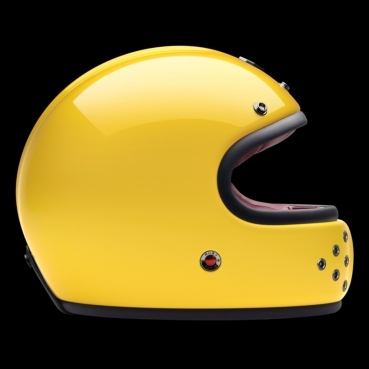 Ktmh5 recommended a classic Bell lid, link here, which is nice, but maybe more of a motorsports drivers helmet. More to my taste, were these from Biltwell, which I was sent to by vegansydney. Proper old school looks, and a nice range of open and full face lids. 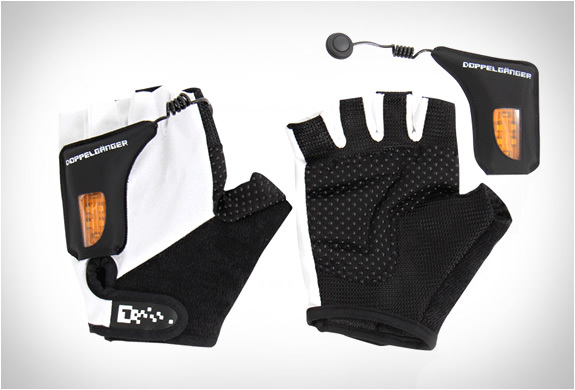 Prices are more pocket friendly too… the fullface “Gringo” model (DOT approved), coming in at a pocket friendly $149. I’m particularly fond of the “Gloss Hazard Orange” Gringo. 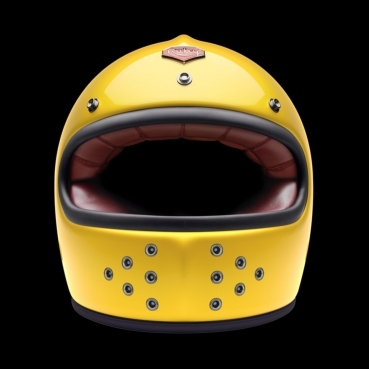 The Gingo is only shown with bubble visors, (which I love on an open face helmet), but am not sure about on a full face. Thoughts? 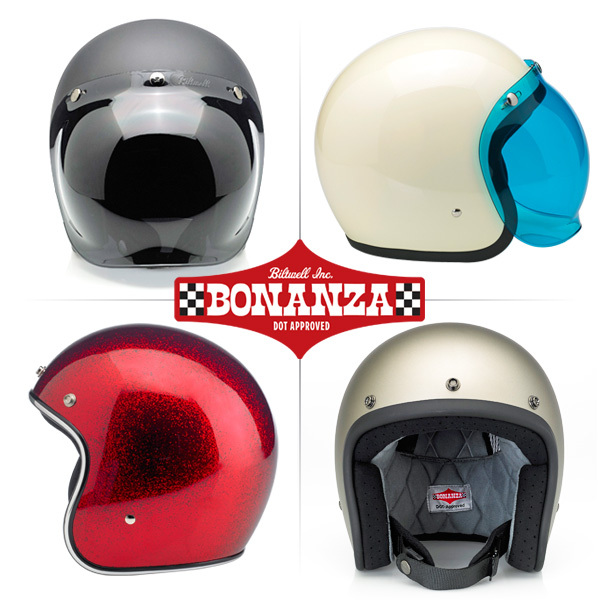 The open face Bonaza helmets look purty too… from class white, to matt black and metalflakes. 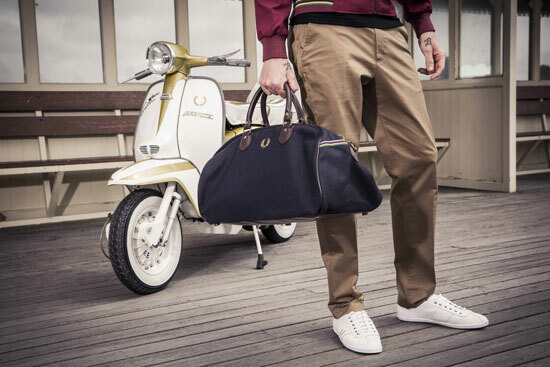 Something to pretty much match any Lambretta then. 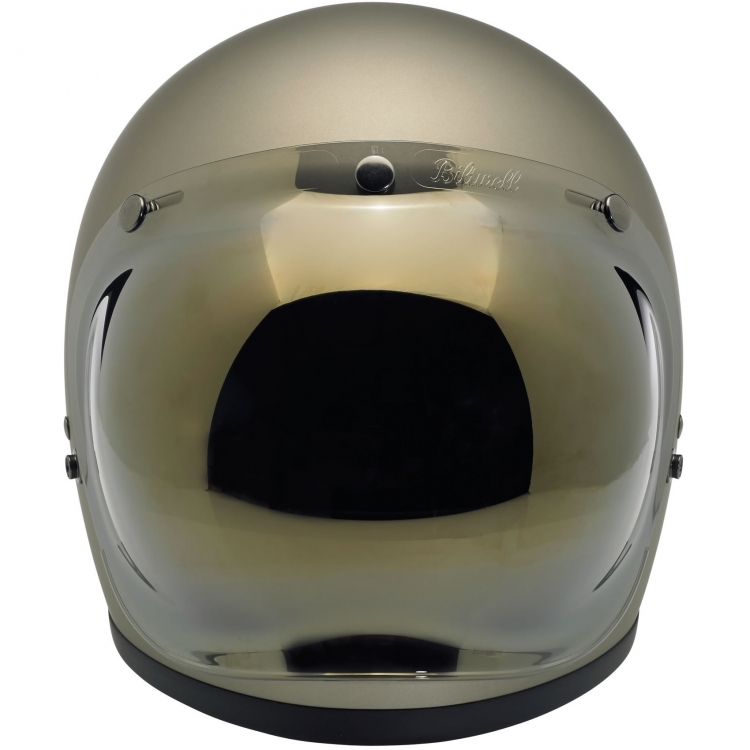 Check out the Biltwell site here. 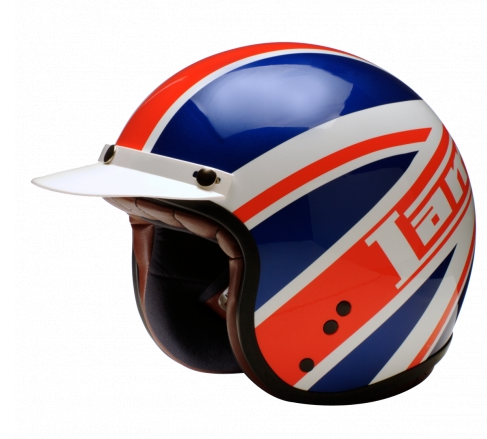 I’ve posted about helmets a couple of time before, both Trojan Records and Momo Design helmets. So what other options are there? Tons. 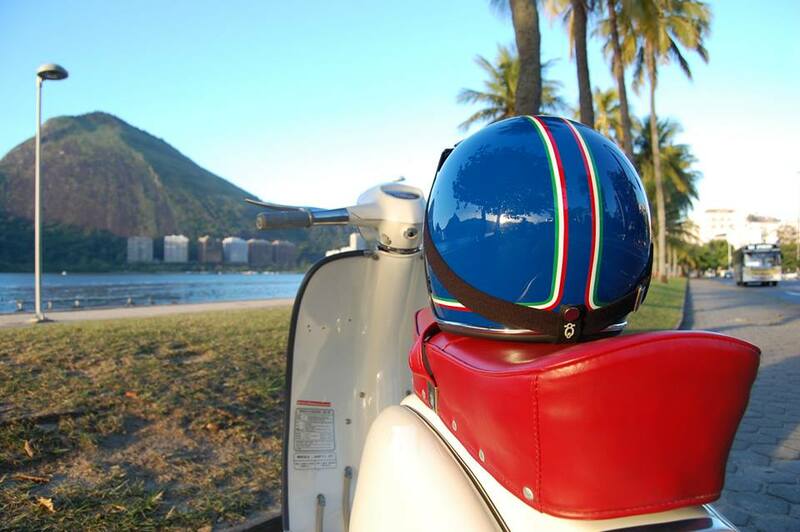 Too many to mention… but here are a few ‘honorable mentions’, that might appeal to us Lambrettisti out there. Before you jump down my throat and get all health and safety on me, this is just about style, and not about safety. 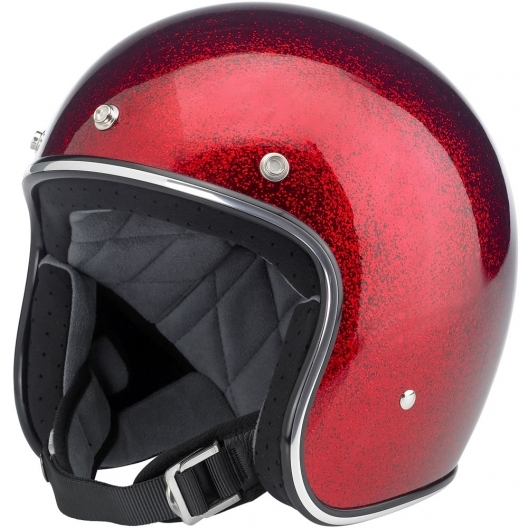 The vast majority of the helmets are open face, and riders can have strong opinions about that. That’s fine, let me know in the comments. 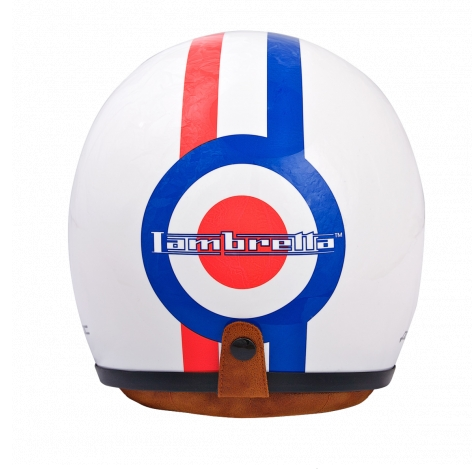 Firstly, I’ll kick off with some “official” Lambretta branded helmets from Heritage Helmets (the same people who make the Trojan ones). You’ll have seen these online and in the mages, and I think they actually look pretty good. 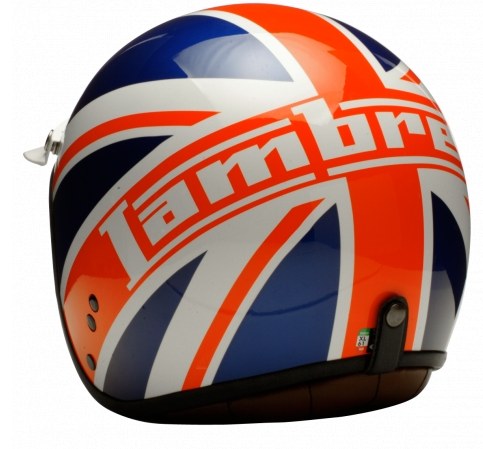 You can get them for about £150 from the Lambretta Store, amongst other places. 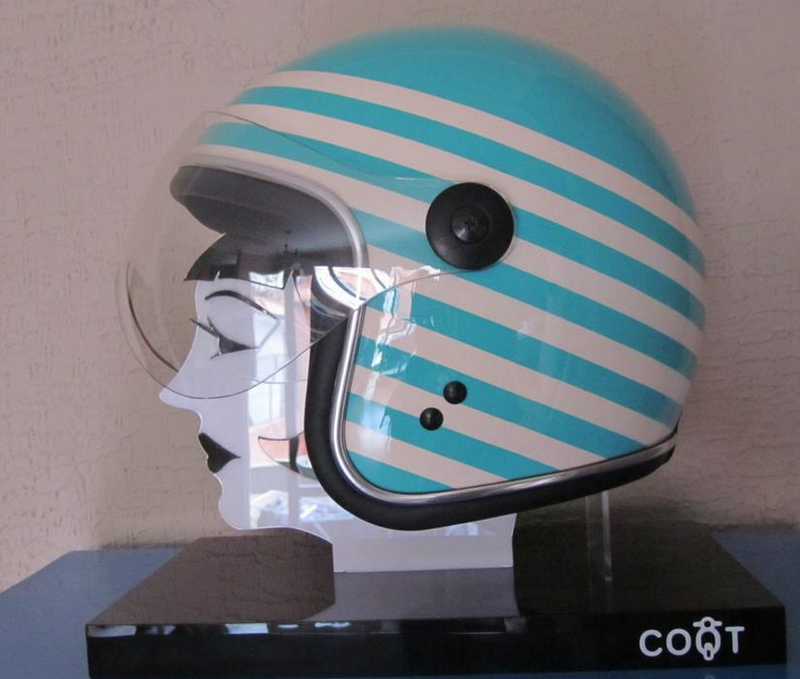 Next, and I’m sorry if you are not in Brasil (I wish I was), are the helmets from COOT, (Which in case you didn’t notice is SCOOT with the S dropped off). 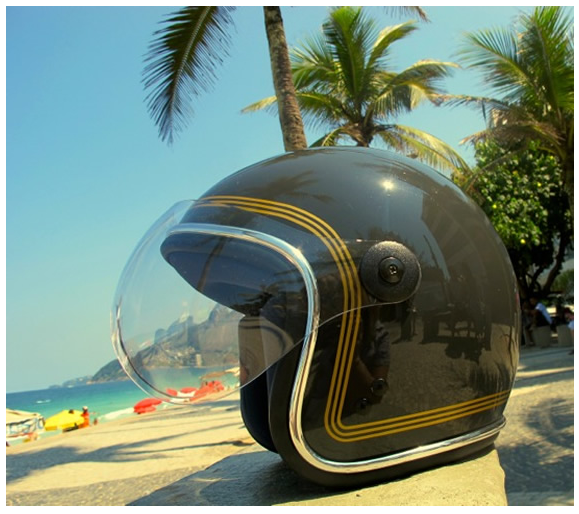 Nice helmets, you can choose from “Ska” “Bluebeat” or “Acid Jazz”. The names themselves will give you a feel for the site. 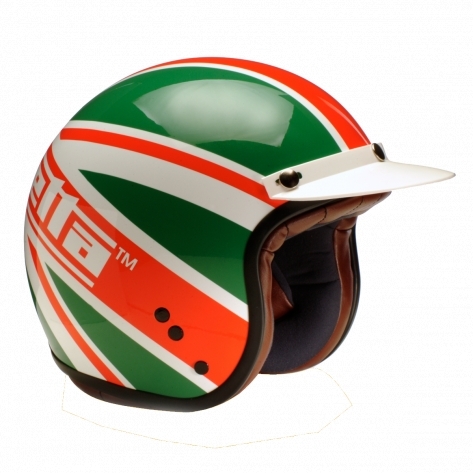 Classic looking open face helmets, and they use a very nice SX in their publicity shots, what’s not to like? Find out more here. 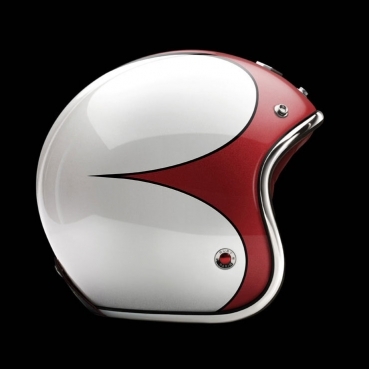 Finally, for now, I’ll round off with the “Rolls Royce” of helmets. Les Ateliers Ruby. As far as I can tell this is a boutique Motorcylists shop in Paris (edit: Apparently Atelier means “Workshop” or “Studio” especially one used by a designer. So we’ve both leaned something). 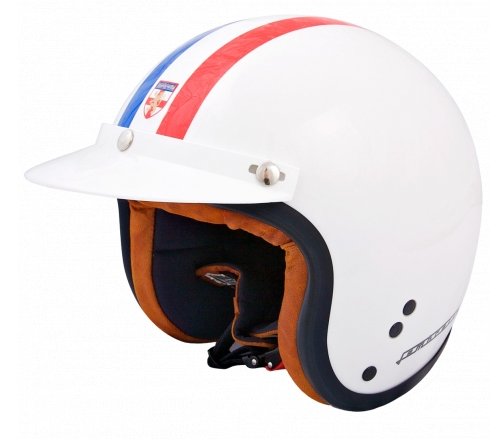 And they do sell lovely skid lids. But they ain’t cheap. 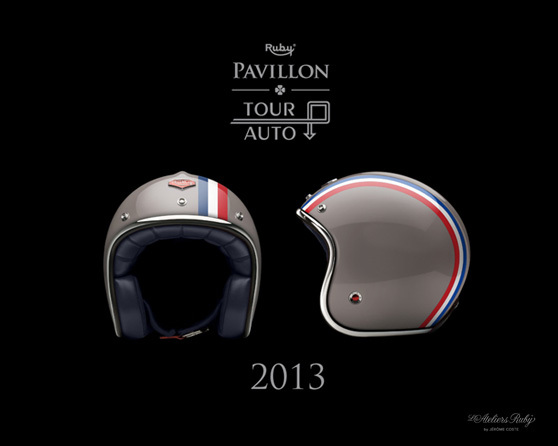 They start at €550 for an off the peg “Pavilion” (or €880 for a visored “Belvedere”) and from €710 for a “A la Carte” option from their online helmet design feature. 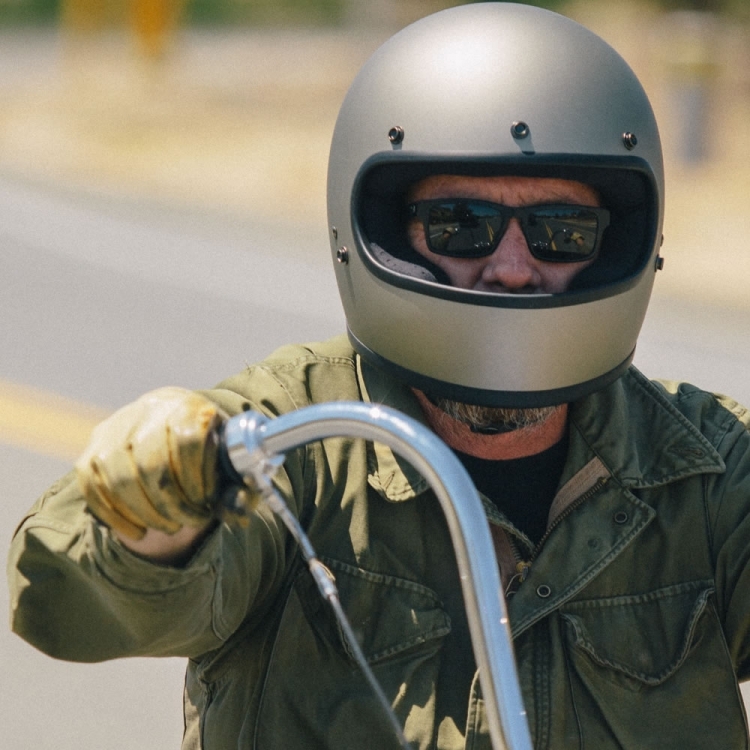 For the truly loaded you can design your own helmet from scratch. 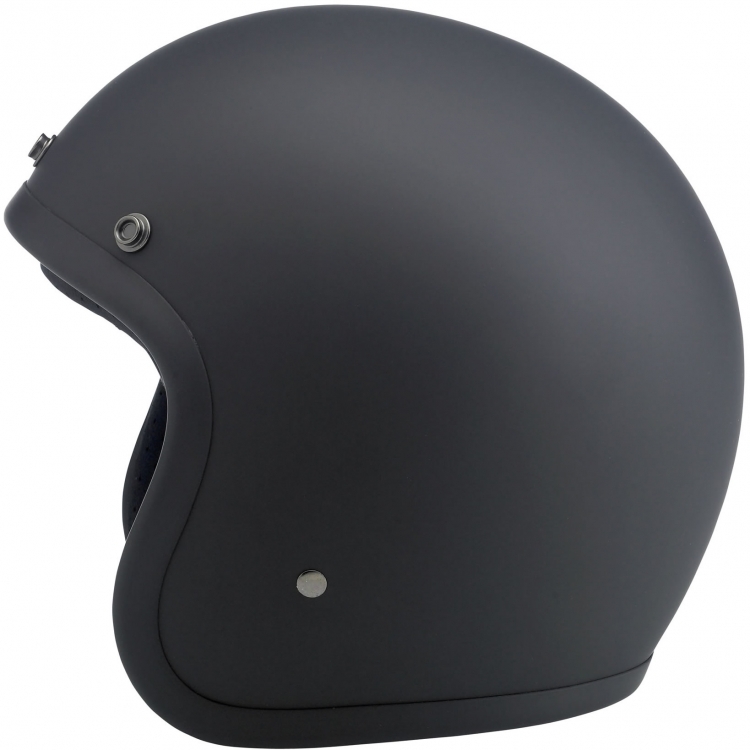 New to the range is the fantastic full face Castel, which will set you back €930. But it is a thing of beauty. 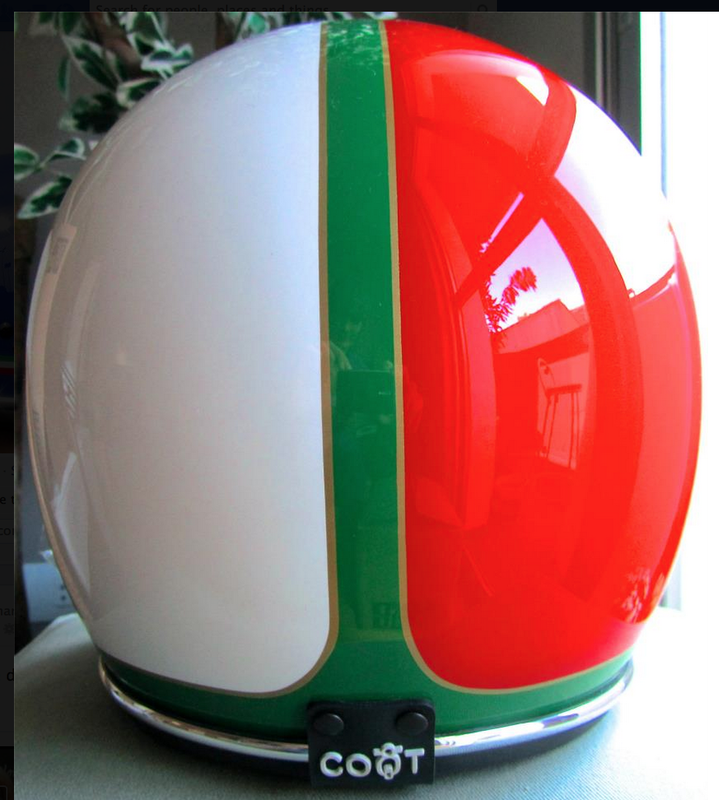 Now, I think a open face lid sets off a Lambretta rather well, (unless you’ve got a really fast one), but these full face helmets are a bit special, and would compliment any classic scoot. If you could afford to ride your pride and joy after shelling out for one! 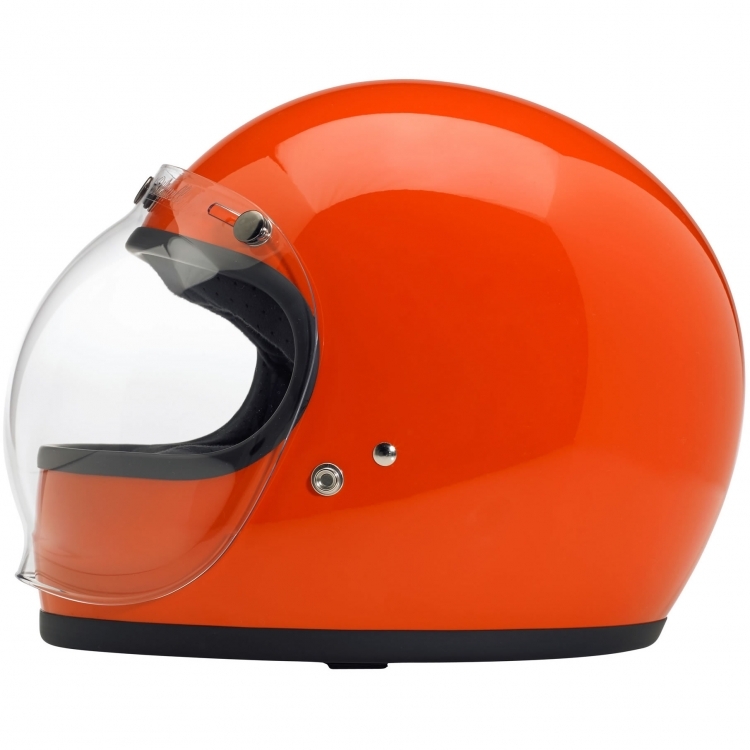 So, that’s my rather brief and uncomprehensive, not to say unrealistic look at helmets. 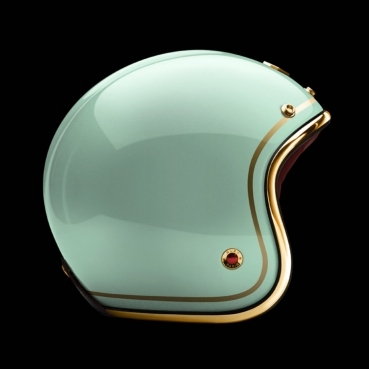 And really, safety and fit should come before style. But I’m rather unqualified to judge that, just make sure before you buy yours that it meet all the relevant standards, and it fits. So, what do you wear? 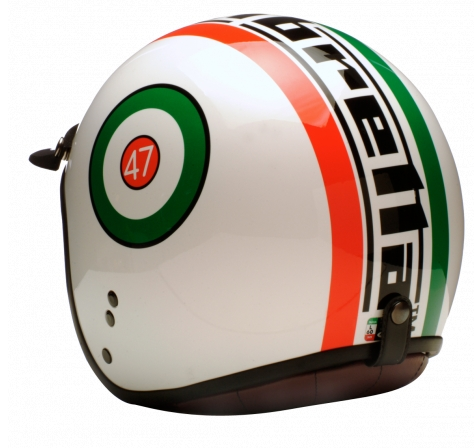 Have you got a favourite lid you think I should feature? 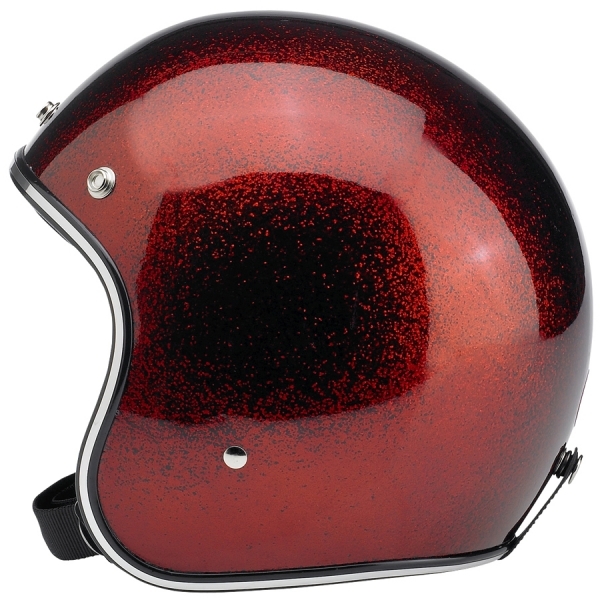 Know any other classic looking full face helmets? Let me know. 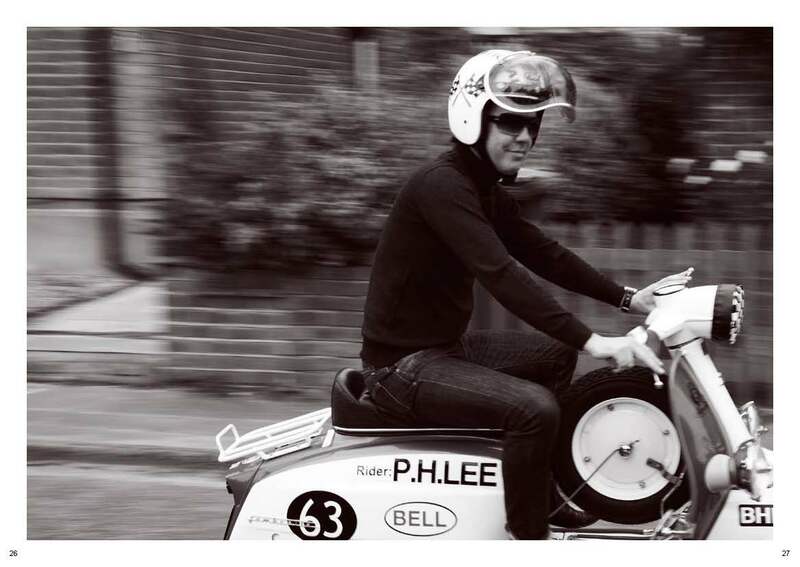 The first thing I did when I got my first Lambretta (actually a Serveta LI 150 Special) was to take a hacksaw to the indicator stems. This was probably illegal, and it certainly puzzled my safety conscious dad. But they just didn’t look right. And unless you’ve got a penchant for an original 80’s style Spanish bike, (be it a Special or a Lince 200), indicators just don’t fit the Lambretta look. The one possible exception to this rule, is original 60’s aftermarket accessories… such as the Ulma “Fried Eggs” that I have a picture of somewhere. I’ll dig it out, and post it. 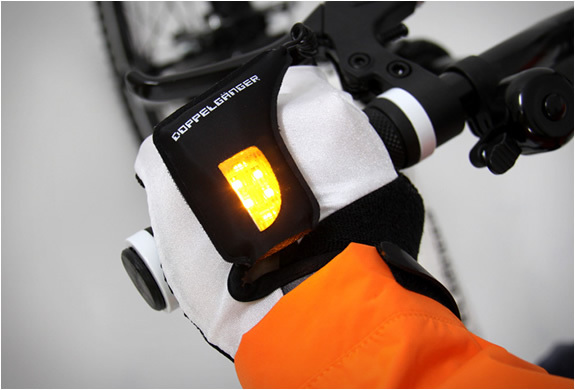 An alternative solution for those needing to indicate their intentions to other motorists may come from the cycling world… with these indicator gloves. Via Bless This Stuff. I’m not sure though. 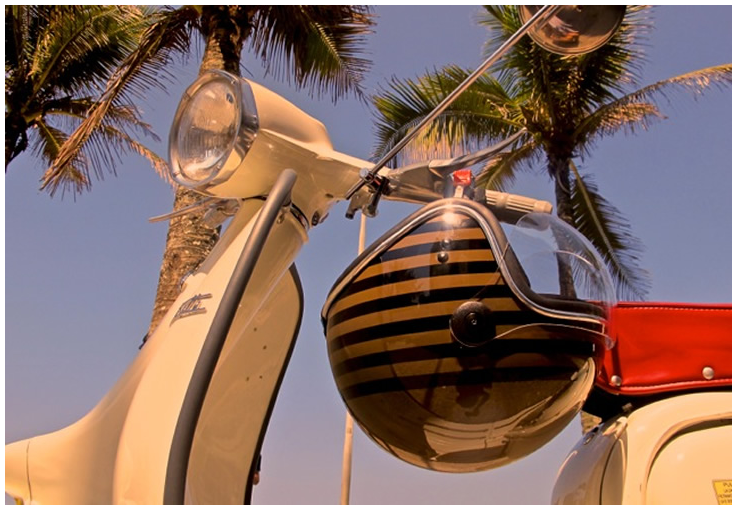 Anybody seen a more elegant solution, or do Lambretta riders and orange flashing llghts just not go together? Get into the right gear! Shame you can’t still get those deerstalker helmets! 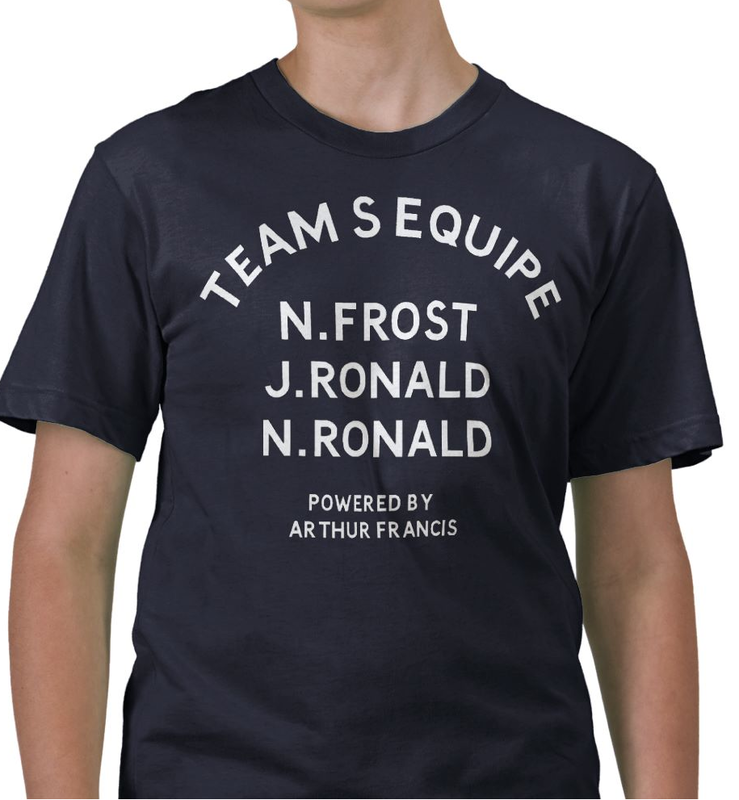 Love the simplicity of this shirt. 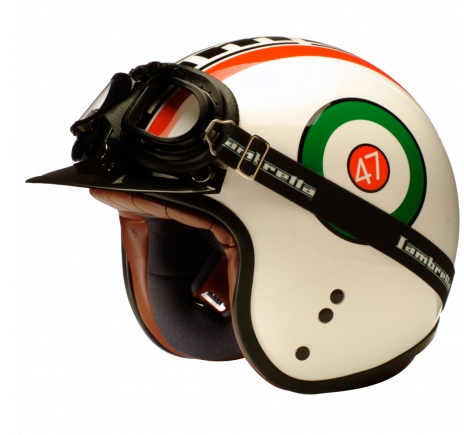 One for those ‘in the know’ about classic Lambretta racing. 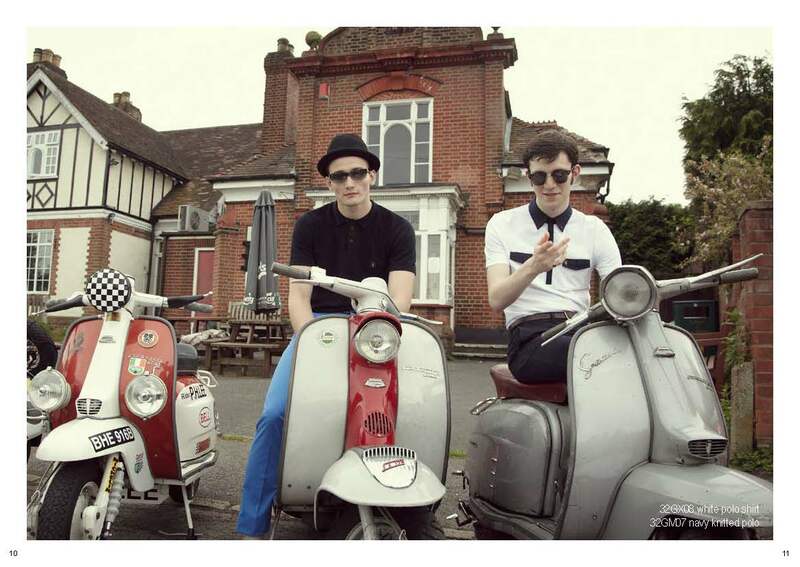 Trust me, if you’re thinking of buying a t-shirt with a ‘mod’ roundeland a sillouette of a scoooter on it, don’t. Buy this instead. You’ll thank me in years to come. Available here. 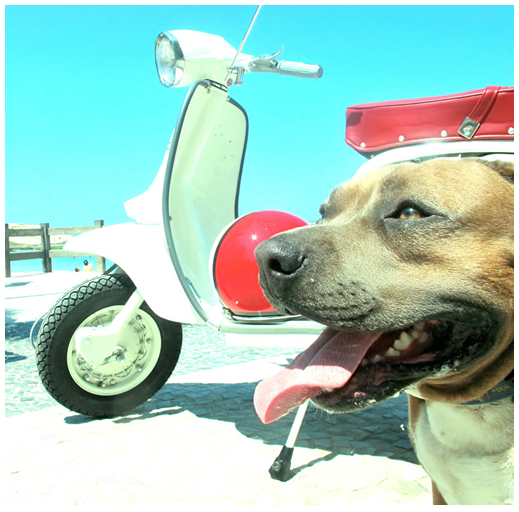 Alternativley, pop over to I’m Scooterist. They’ve got some nice stuff too. I’m pitching this somewhere between the full mod fishtail, and the biker jacket I posted previously. You really can’t go wrong with a classic Barbour. I’ve got something similar by another brand – Jack Murphy. If you want to know why I got it wrong, and should have gone for a Barbour there’s a great article here. Although, to be honest, I’m pretty happy with my choice :). 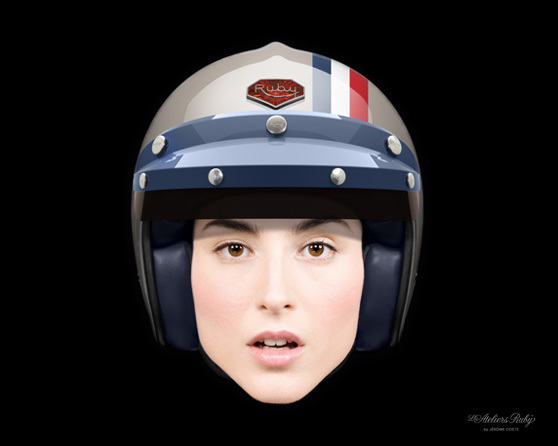 If you’re a Lambrettista, and something of a traditionalist… the motorcycle jacket I posted about previously won’t cut it for you. For some, the only gear to wear in inclement weather is a Fishtail parka. 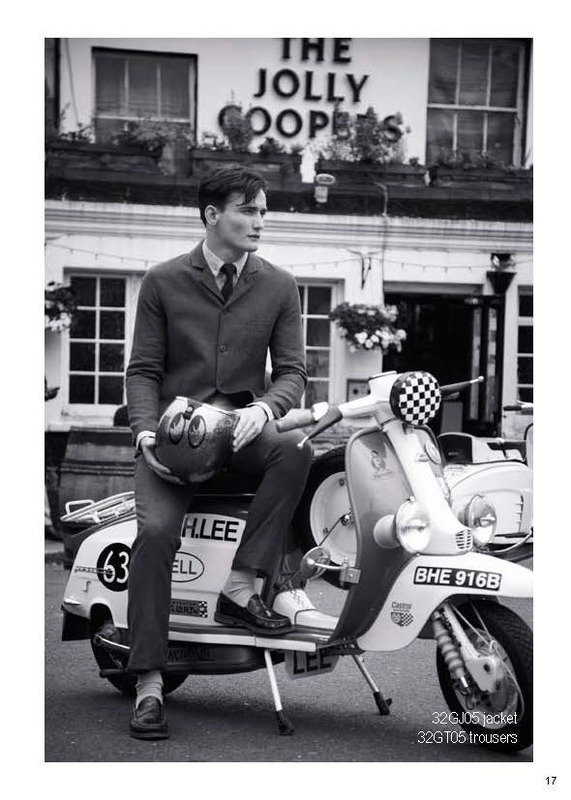 Well… an original M-51 Parka (The sixties classic, pictured) will set you back a few quid these days. Your looking at an eyewatering £400 or so for a good, used, but restored one. A (slightly) more affordable, and some say better, version is the M-65… warmer, lighter… and still with a vintage feel about it. Expect to pay around the £100 – £150 mark. 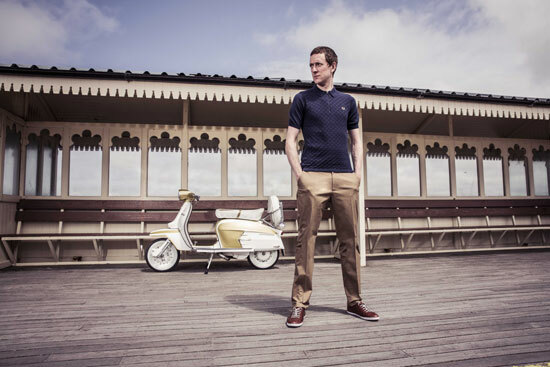 If you want the look of a ’51 without the price tag, Mod clothing specialists Jump the Gun do a very good repro one for about £100. By the way… if you’re wondering what the codes stand for, it’s quite simple really… it’s the date of original issue by the US Army… M-51 issued in 1951 (so a lot of surplus around by the early 60’s), and the M-65 replaced it in 1965, a bit late for the original mods, but picked up by many revivalists, from ’79 onwards. A couple of good sources for Fishtails are fishtailparkas.com and the aforementioned Jump the Gun.